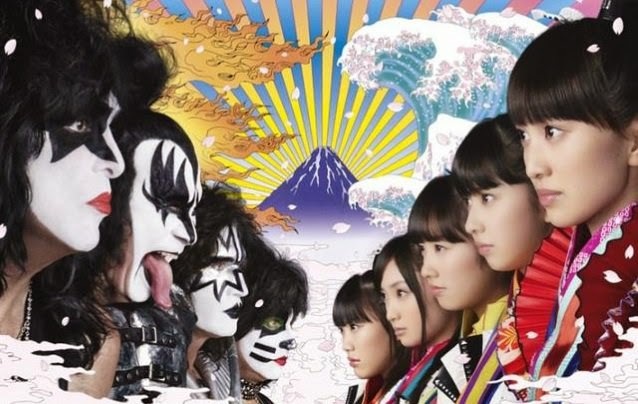 KISSopolis: Audio: KISS vs. Momoiro Clover Z - "Yume No Ukiyo Ni Saitemina"
Audio: KISS vs. Momoiro Clover Z - "Yume No Ukiyo Ni Saitemina"
Here's the first single from the collaboration with KISS and Japanese pop idol group Momoiro Clover Z titled "Yume No Ukiyo Ni Saitemina". The song was written by Paul Stanley and producer Greg Collins. The song will be released on January 28th.